Given the game’s source material and the current state of MMOs, it’s difficult to understand what The Elder Scrolls Online will be exactly. On the one hand, Zenimax Online Studios is trying to adapt aspect of the single-player franchise to the game, but it also still needs to resemble its competition. In a recent Q&A, the studio tried to clear up some of this confusion. 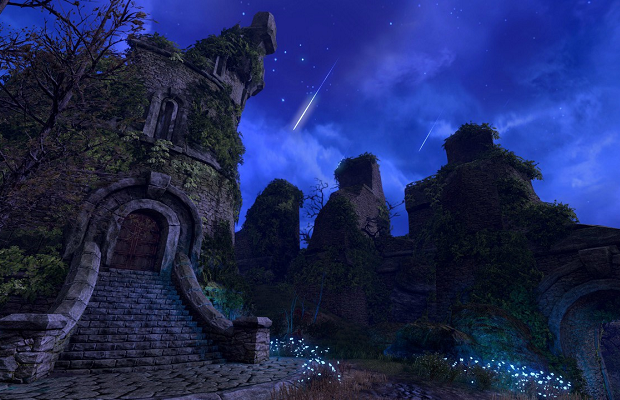 The Elder Scrolls Online is set up to be a fluid experience. As you wander the landscape you’ll encounter caves, forts, tombs, dungeons, and etc. Certain rare locales will just be for solo players, and some dungeons are meant for groups made only of people you choose to go in with. Most locales, however, will be accessible by everyone. Some might be too dangerous for you because of your current level, but you can always come back when you are more powerful if you want to complete them solo. We recommend grabbing a friend or grouping up with a stranger if it seems too tough, though, because that’s all part of the fun. So players can expect the usual instanced affairs when delving into the various dungeons the game offers. Hopefully the rare locales can retain the sense of discovery which makes the single-player Elder Scrolls title so engrossing.